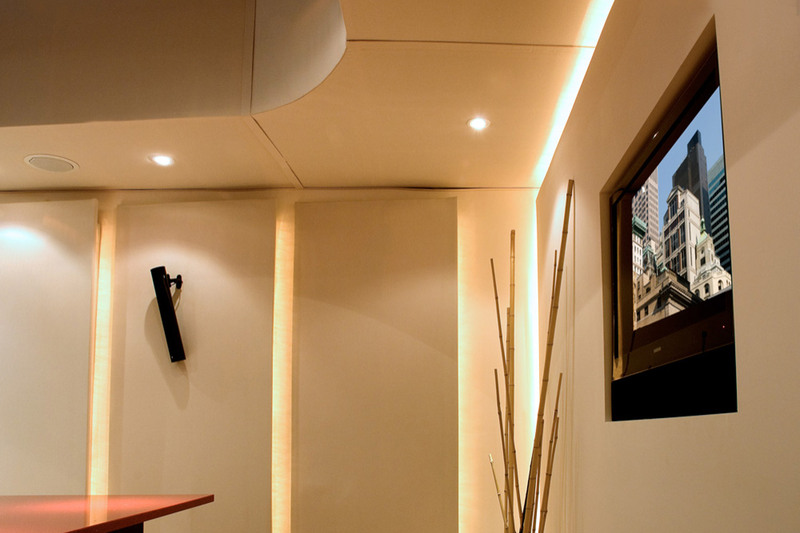 Versatile application of acoustic design for residential and corporate use. Interior design ideas incorporating applied surface acoustic treatments, lighting design, AV system design; all in combination with the latest technology. 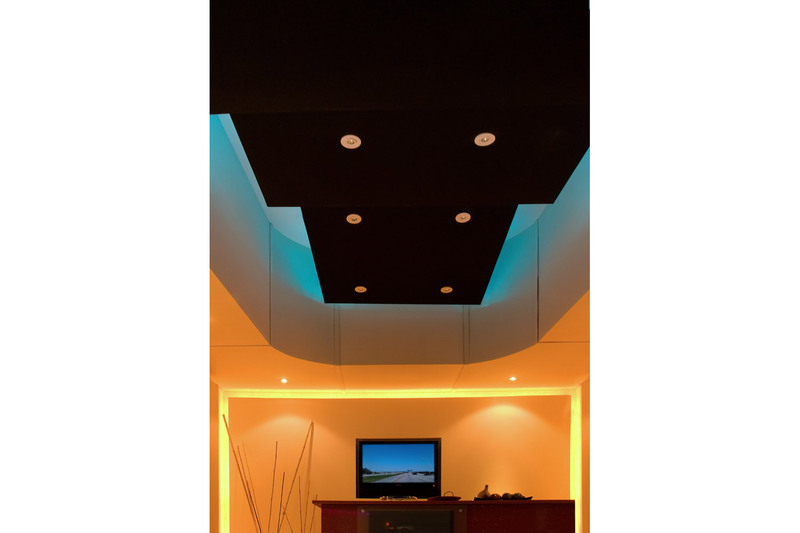 As all WSDG design challenges produce custom solutions, the LEC was no exception where acoustic treatments were developed to maximize the potential of the ever changing audio / video / control systems that are installed and demonstrated. Care and attention was given to creating an environment that would allow clients and room users to compare different AV systems and to evaluate the impact of a dedicated acoustic design on the performance of any high-end equipment. During the automated demonstration we present different display options: plasma TVs, lifts, a flat projection screen and a curved, motorized screen with automated masking. 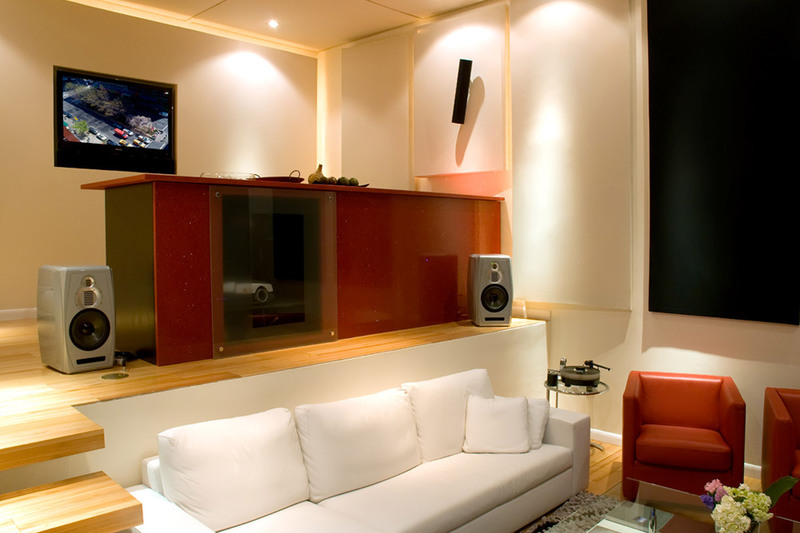 The different audio options range from wall, ceiling and floor standing speakers. Clients are given a variety of options to experience a true sense of what appeals to their specific tastes and requirements. The space in an open lab to allow end users, designers and architects to experience the kind of technology, both architectural and acoustic, that they can incorporate into every space of a project. The LEC was build integrating world-class acoustics, architecture and technology. 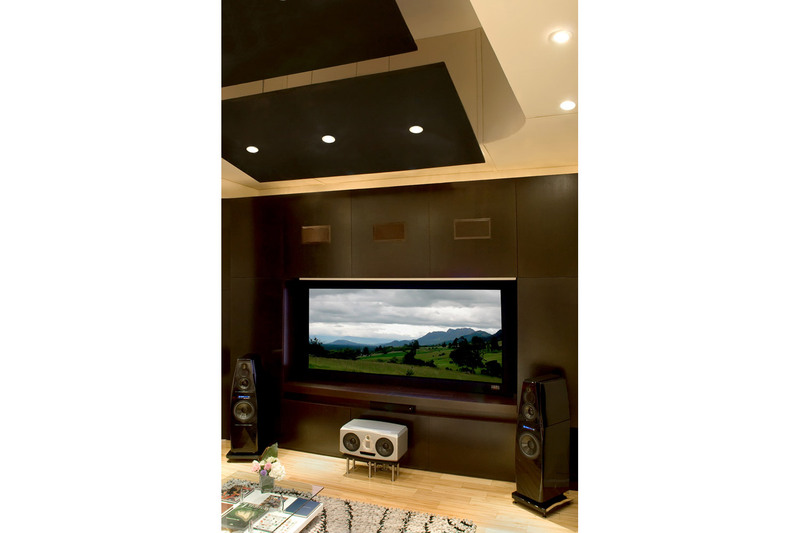 It suggests a high-end audio-video experience that can transform any area of a residence into a living entertainment center. 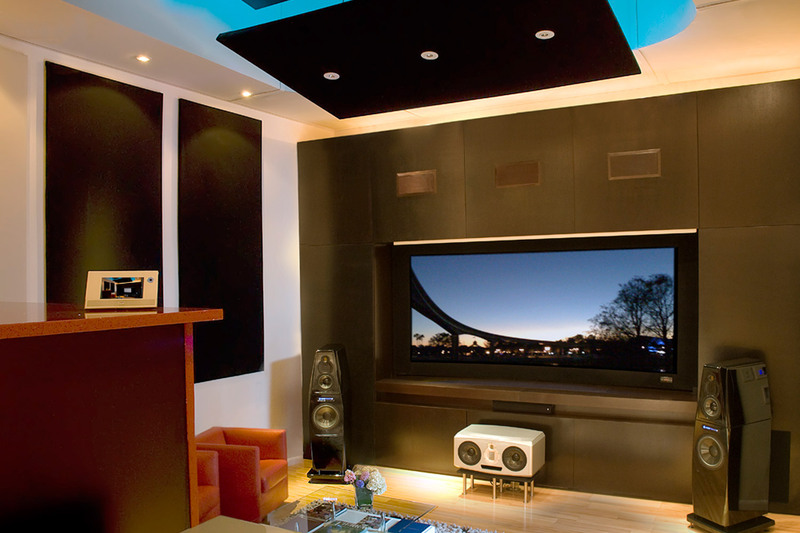 The Room is divided in 2 sections: The viewing section consisting of a comfortable seating area that incorporates multiple levels of audio-video and automation systems. 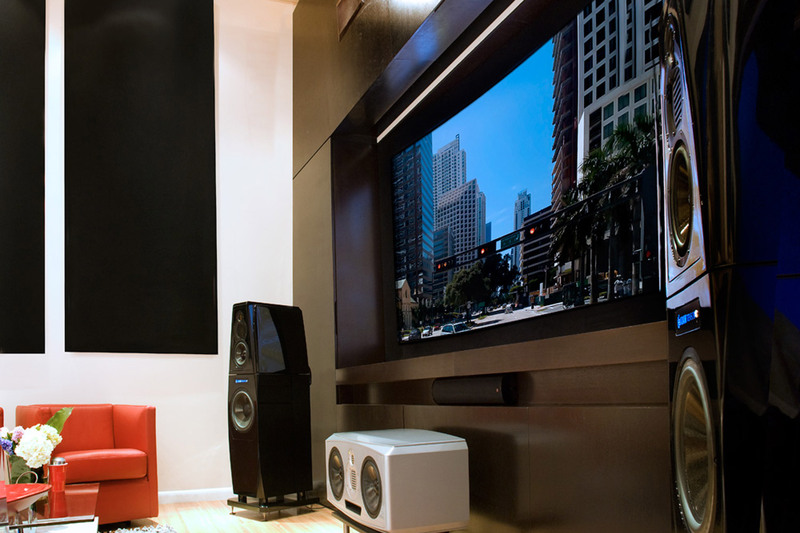 There are home theatre mid-range to high-end audio and video systems displayed in this area for the visitor to appreciate the difference between each system. The back section of the LEC has a large counter/bar area that again simulates a home office /galley space. 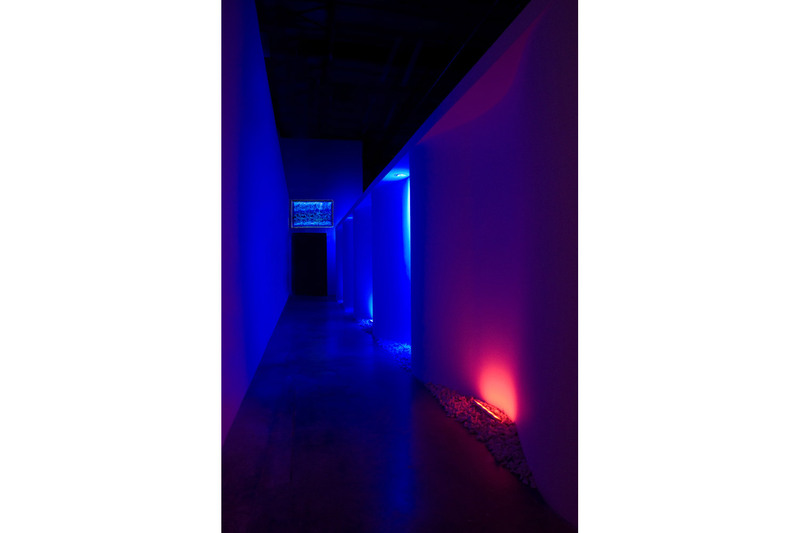 WSDG lighting design uses a automated control system to customize different lighting scenes that can be control from any part of the room creating unique atmospheres. Every fixture was a carefully considered element of the design; all the in-ceiling fixtures combine with indirect ceiling and wall LED color lighting enhance the whole environment. 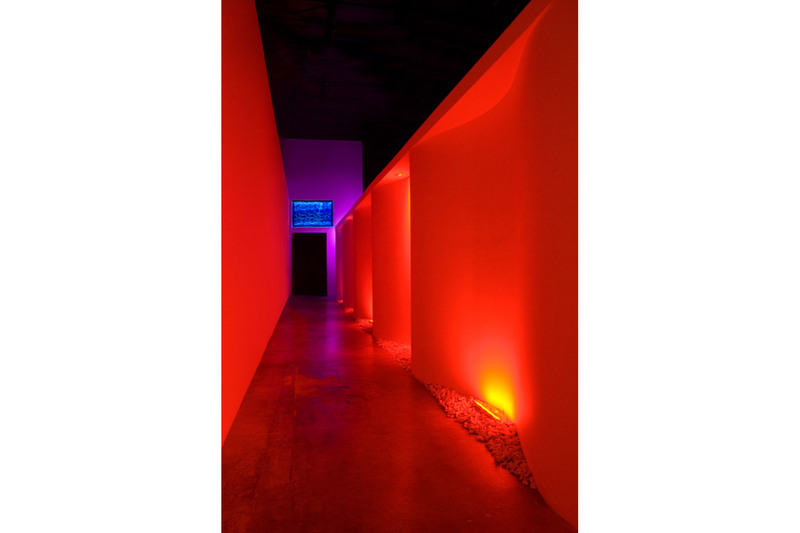 The Tunnel (the aisle leading to LEC) was designed to give the visitor an introduction to a new experience. It incorporates the latest LED Lighting technology displaying millions of colors onto a snake shaped wall. Taking into consideration the LEC is located in a business area with adjacent offices the isolation was essential. Construction documentation details a full room within a room; we added an inner drywall system with multiple layers and high-density insulation with 3 layers of drywall and neoprene pads. In addition, a custom door and HVAC system were installed. All the materials, furniture and design elements were taken into consideration both for their esthetics and their acoustic impact. The ceiling incorporates fabric clouds of different sizes and installed at different angles. The custom soffits also made out of perforated wood and covered with fabric to complement the requirements for acoustic treatment. Custom made panels of predetermined sizes and positions cover the walls throughout the space. 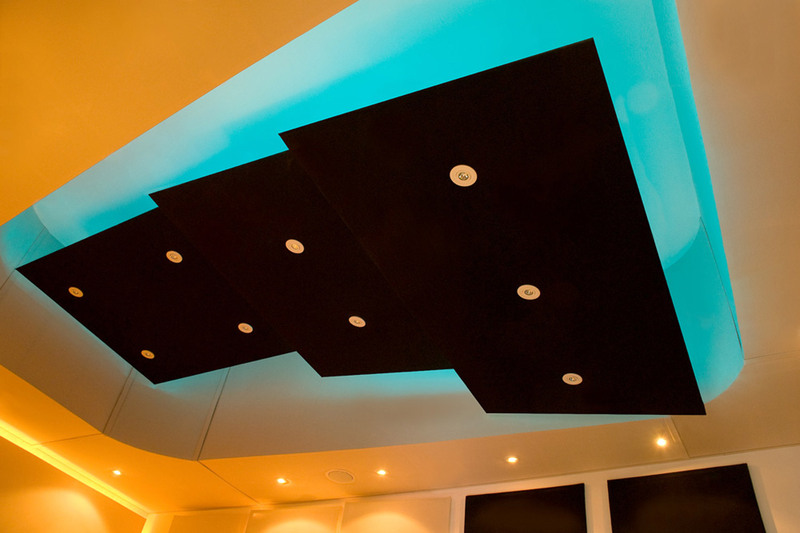 The acoustic treatment applied in the LEC ensures exceptional acoustics and allows us to also control the low frequencies. The space will sound and respond to its optimal potential. The LEC offers complete solutions, not only products, therein lay the success of a company that is in the cutting edge. 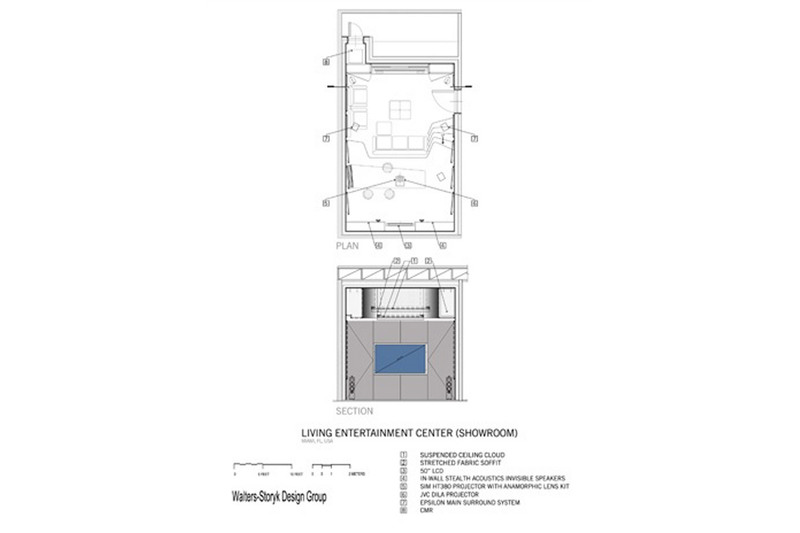 Electronic systems design and architectural ergonomics are used in the creation of A/V studios, theaters, auditoriums, clubs, private residences, and performance centers. 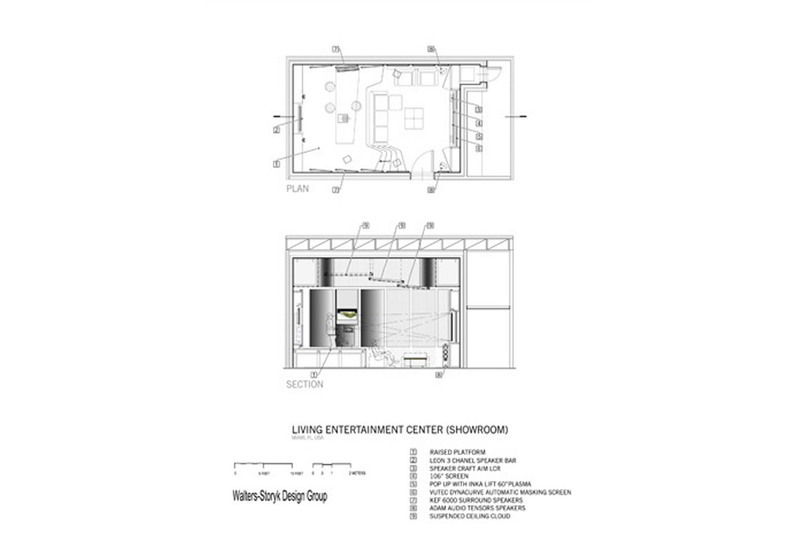 Read an article about WSDG Miami and the Living Entertainment Center.